Within the Follow-ups tab you have the power to send the same message to a group of clients or send a customized message to a single person. Within the Follow-ups Tab, you will notice that clients are grouped by Class and Visitor Type. 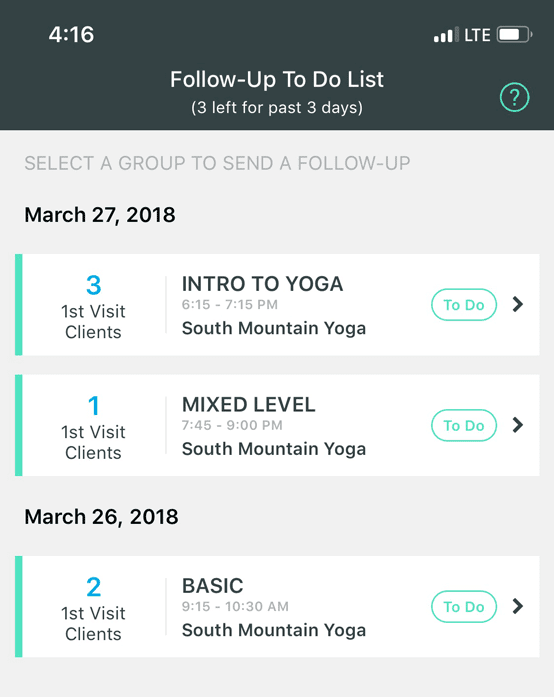 In this first example, there are three First Visit Clients from the Intro to Yoga class. 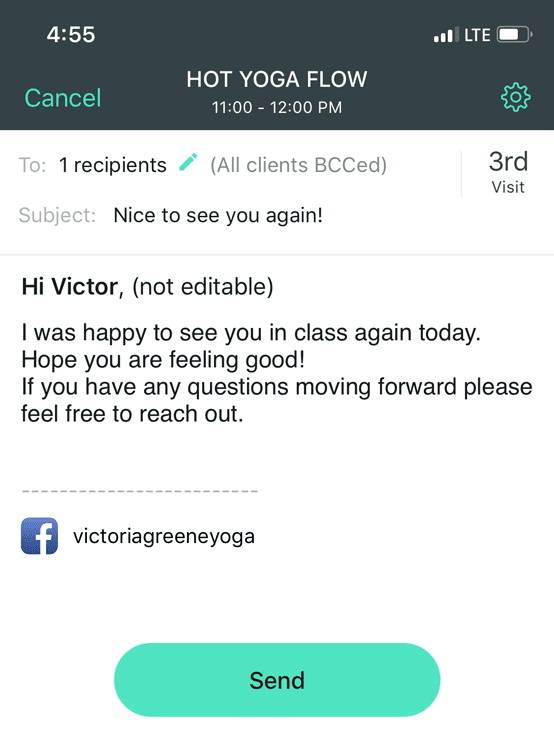 To send the same message to every client within a group, simply click on the group, and select Create a Message. Your Default Message will appear. Click Send to send the message as is. 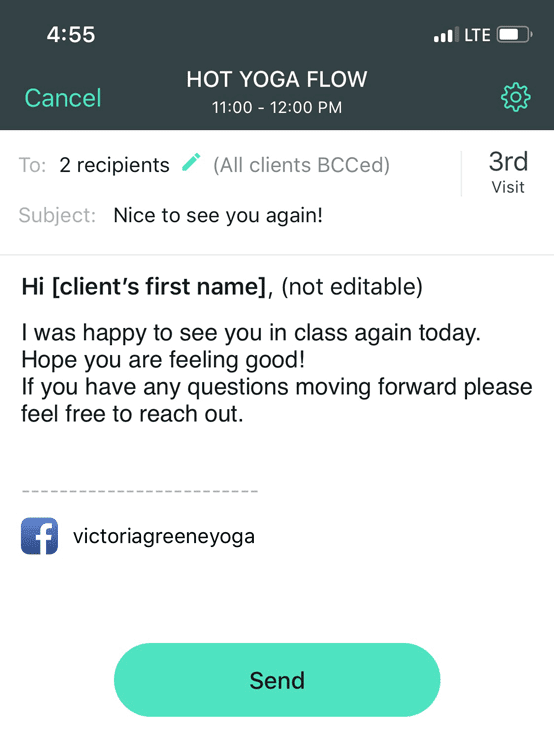 Note: This message will still appear personalize to the client, and our system will autofill their name at the top of the message. 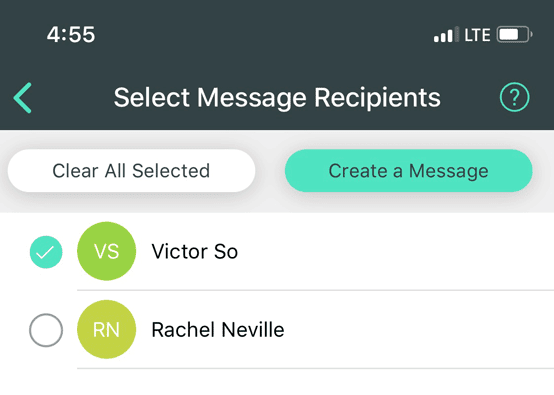 Select Clear All Selected and highlight the name of the client you would like to send a special message to. Select Create a Message. You may then customize the message here before you click Send.